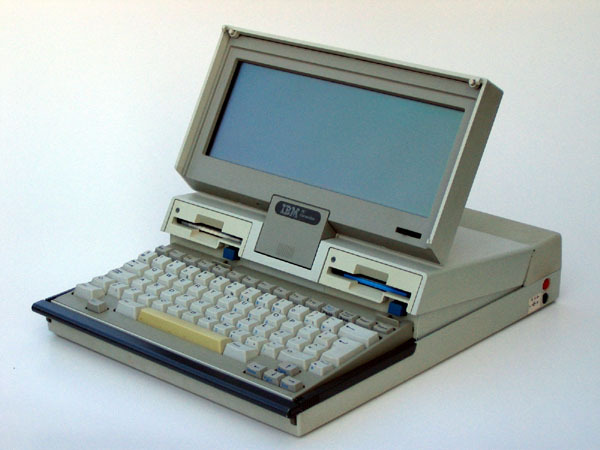 IBM PC Convertible The IBM PC Convertible is a true PC, with 512 kByte RAM, 80C88 processor and dual 720kByte DD floppies, and IBM's first PC with 3.5" floppies (1986). One special feature, not found on lots of other laptops, is "RESUME". You can switch it off in any condition, and when it comes on again, it starts where it was when switched off. The RAM is static and retained by battery. 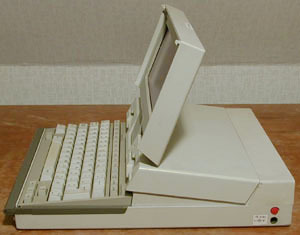 The Convertible was also IBM's only PC (XT) with standard a battery back-upped clock. Shown here is the Convertible with a typical application, the Application Selector, which runs only on a Convertible. 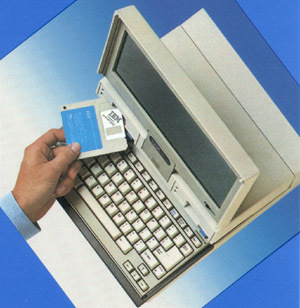 It can still be downloaded from the IBM site. Battery data: 9.6v/2400mAh (NiCd). The power supply is 15 VDC, 2.7A and the pin is plus (barrel minus). Side View This construction probably gave the Convertible its name. Standard no serial or parallel ports. Several extensions could be attached at the back via a special extension bus. Some of the internal connector definitions are found here.